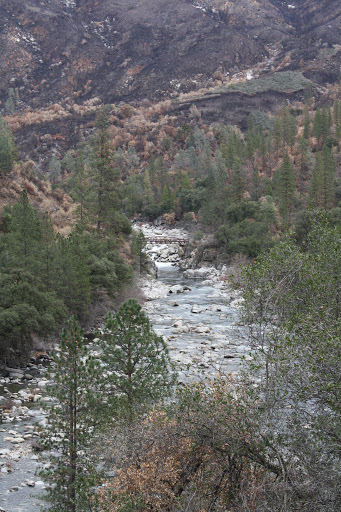 AO Rafting owner Scott A got the opportunity to check out the Tuolumne River canyon with the US Forest Service last week. 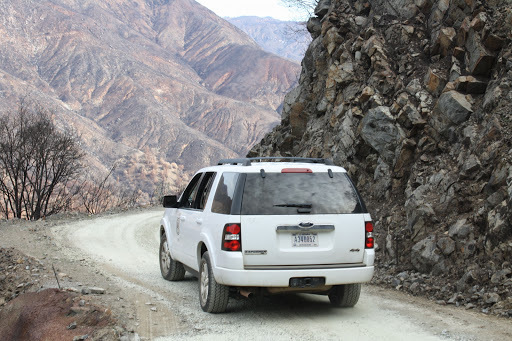 Although still closed to the general public, the Forest Service has been working on the access road to the Tuolumne put-in, and we were lucky enough to be invited along. The excellent state of the road is a good indication of all the effort going into stabilizing and maintaining access to the wild lands burned by the Rim Fire. Right now they are ahead of schedule on the road, and funding for their projects is good. Scott reports that the canyon is certainly different and clearly experienced an historic event through the Rim Fire. The contrast between the areas the fire somehow missed, and the areas it scorched, is stark. 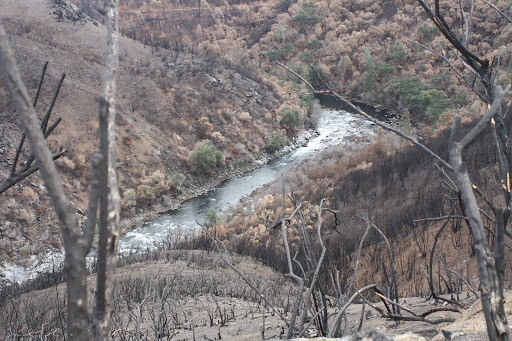 Since you can definitely see the fire damage from the river, and on the drive to put-in, rafting trips on the Tuolumne River in 2014 will be a great way to get a window into the canyon’s recovery process. Right now the canyon looks pretty barren and brown as you can see from Scott’s pictures, but with just a little rain those hills will be green in no time. Restoration of the larger flora like the pines, oaks, and manzanitas will take longer. River trips are going to the best way to be front and center to witness the process of the canyon’s gradual restoration. When it comes to predicting what trips will be like on the Tuolumne and Cherry Creek in 2014, it’s too early for specifics. Due to water storage in upstream reservoirs there will be ample water for standard summer flows. Spring flows, of course, depend on how the rest of the winter plays out in terms of snowpack. 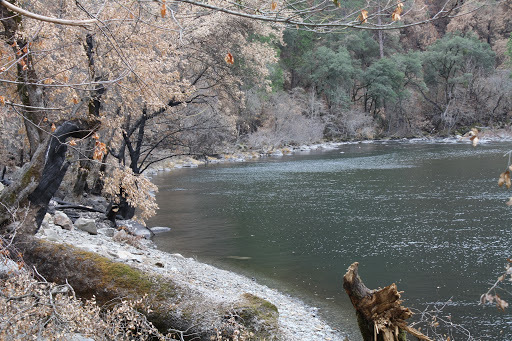 We’ll keep you up-to-date about the canyon’s progress, and, of course, when the 2014 rafting season on the Tuolumne and Cherry Creek opens.